The battle between active and passive investing has been a topic for years. There are arguments for both and there are varying ways to successfully deploy these strategies. I have blogged before about the proliferation of ETFs and that many investors seek ETFs because they believe they are passive, but in many cases the ETFs they are investing in are specialized and, therefore, not passive. There is even a whiskey ETF, which I blogged about back in October. Not only are people investing in non-passive ETFs, but they then trade in and out of these not-so-passive ETFs, thereby executing a very active approach. I have yet to meet an individual investor who successfully held passive ETFs through a bear market without making changes or reacting emotionally at the wrong time. 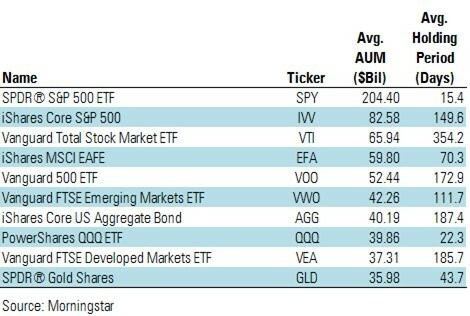 There are some truly passive ETFs in existence, but as the table below illustrates, even those are not being used as passive investments. 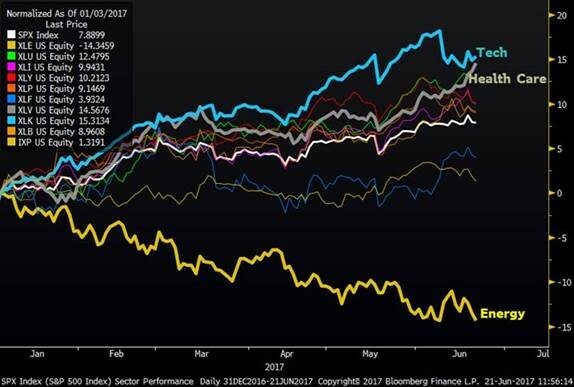 SPY, which is the best known and a truly passive ETF has an average holding period of only 15 days – investors are using this to adjust market exposure on a short-term basis.